Finesse, freshness, purety, Alsace proposes an unparalleled pallet of aromas and flavours - an authentic and intense sensory experience! The vintage years Good or great year? 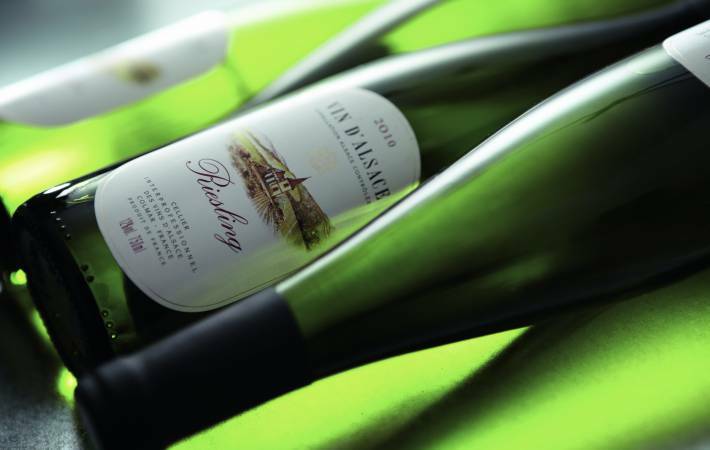 Alsace wines reveal flavours, using their elegant finesse like a force of character. All aboard for a gourmet journey with seasonal products and cuisine from all over the world! Gourmet files The best of each season with the Great Whites! Identified over the centuries by generations of wine-makers, the most beautiful Alsace terroirs produce authentic and high-quality wines. Wines tailored for keeping and haute cuisine. Incredible garden of nature and culture, the Alsace wine-growing area is crossed by its famous Wine Route - a unique trail with postcard-perfect landscapes! Landscapes, stories, rendez-vous... Browse through the real-time album of the vineyard and follow the hectic life of Alsace wines around the world! Vins d'Alsace's blog Follow all the stories of the DrinkAlsace family! The best of each season with the Great Whites! Privileged geological and climatic conditions. A tradition of respecting Nature. Demanding know-how associated with a touch of audacity. Here is the Alsace's secret to express all the intensity of its terroirs! For professionals, 2010 was a complicated and difficult vintage year. It’s rare that a vintage year was so marked by climatic conditions. Subsequently, the very high temperatures recorded at the beginning of July accelerated the ripening and limited the health risks in the vineyards. As harvest time approached, the various ripeness levels were checked and confirmed the good grape-sugar concentration as well as high acidities. But, as a consequence of this chaotic climate, the ripeness remained heterogeneous for the grape variety or parcel level, as for the different sectors. Mastering the vine vigour enabled prevention of noble rot outbreaks. September 13 for AOC Crémant d’Alsace. September 27 for all the lieux-dits with some exceptions: Kaefferkopf and Pfingstberg (delayed one week), Altenberg de Bergheim and Kanzlerberg (delayed 2 weeks). October 12 for the Vendanges Tardives and Sélections de Grains Noble indications. During the harvest, we became optimistic again after September 15 with the appearance of dry and sunny weather conditions! The acidities evolved nicely and the alcohol degrees rose thanks to the low levels reported in the vineyards. From a quantity standpoint, the overall production was at 91,950 hl, a drop of 21.8% compared to 2009 (-26.8% for still wines with 670 880 hl and -3.7% for AOC Crémant d'Alsace with 241,070 hl). The 2010 vintage wines are fresh and fruity, fully expressing the commonly-recognised characteristics in Alsace wine, and allowing beautiful evolutions to be envisaged. The know-how of cellar professionals was essential (notably aged on fine lees) to fine-tune the wine balances. Due to a high but ripe acidity, the Crémants d’Alsace are simply excellent. Beautiful fruitiness for Muscat and Pinot Blanc. Pinot Noir stands out with lots of colour from a great extraction. The particularly low yield of Gewurztraminer contributed to making fruity and floral (rose) wines, less spicy than in 2009. Their distinct richness is balanced by the typical freshness of this vintage year. Pinot Gris managed to escape from these health risks. They are pure, very fruity, balanced with notes of ripe fruit (pears). The yield of Riesling was also very low: the wines have a lot of freshness and aromas of citrus fruit, it will most definitely be an excellent keeper. Taking into account the late autumn weather conditions unfavourable to the development of noble rot as well as the weak yield recorded in general, the volume of the Vendanges Tardives and Sélections deGrains Noble was also reduced this year. Nevertheless it should be noted that the sweet wine produced in 2010 was of excellent quality. There are never two harvests which are alike! Each year, the different climatic conditions impose a natural framework which wine-makers learn to manage. The vintage year transmits these variations into the wine quality perception. It furthermore provides indications for how long it should age once bottled.